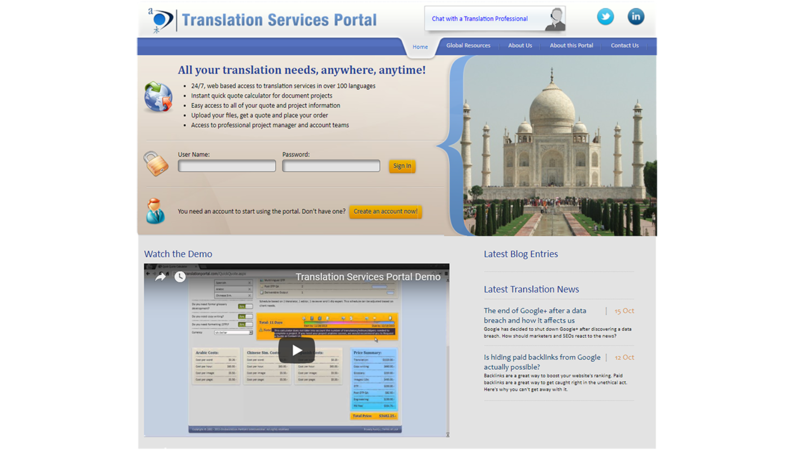 GPI’s Translation Portal is a fully customizable, internet-based communication and collaboration portal designed to give companies immediate, secure and global access to all of their translation, localization and internationalization project and team information. Globalization Partners hosts and customizes the portal based on a client’s globalization services requirements. Your GPI Globalization Services Team™ (GST) is ready to assist you in customizing your very own Translation Portal today. View status reports, complete with comprehensive task lists and calendars. Import and export spreadsheet information. Subscribe to project status information for automatic email updates. Apply role-based security to all users. Collaborate with any number of virtual team members you select. In 2003, GSII (the Translation Portals predecessor) was chosen as one of five finalists for the 2003 Software and Information Industry Association’s (SIIA) 18th Annual Codie Awards for the Best Enterprise Portal Platform. In 2011, The International Academy of the Visual Arts (IAVA) awarded a 2011 Silver W3 Award to Globalization Partners International for the latest version of its Translation Services Portal (TSP).